The roof plays an important role in protecting you from the elements and extreme weather conditions. Therefore, you wouldn’t want to end up with a collapsed roof in the middle of a storm. Conducting thorough inspections periodically can help you detect areas of the roof in need of repair before the condition worsens. Beneficial Roofing Company in Rockwall, Texas takes you through some important roofing tips worth considering. As a company, we are proud and honored to serve the Rockwall community where we provide a wide range of roofing repair services for both residential and commercial establishments. If you notice molds or stains on your ceiling then this could be an indication that there is a leak in need of fixing. Stagnant water on your roof might lead to serious leaks. However, it is advisable to hire a professional to do such an inspection due to potential dangers associated with a steep roof. A professional company might also notice tiny bubbles that an inexperienced eye will most definitely miss. Bubbles on the roof are signs of tiny leaks that might cause extensive damage to the ceiling. If you have wooden seams on your roof, it is advisable to check for signs of rot or cracks to avoid unexpected collapse. Check the condition of the lightning arrester. A broken or a dislodged arrester exposes your roof to lightning strikes that might cause cracks. Whether it’s a commercial or residential building caring for the roof gives it a longer lifespan. Furthermore, it allows you to cut down on repair costs because problems are detected early enough. 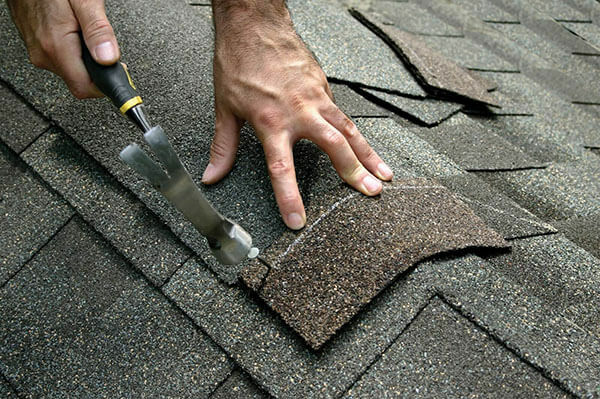 As a professional roofing repair company in Rockwall, Texas, we handle both commercial and residential roof repair services. Our specialists often come across roof problems that could have been avoided through proper maintenance. This is why we take this opportunity to give you tips on caring for your roof. Have in place a comprehensive repair plan that includes inspection schedule and areas to inspect. Beneficial Roofing can draw for you a customized plan for your building. Accumulation of dirt and debris puts undue pressure on the roof thereby increasing chances of collapse. Remove the debris by cleaning the roof periodically. Broken tree branches are a major cause of roof damage. Ensure that you cut down loose branches hanging on top and beside your roof. After a stormy weather, always consult an expert to inspect your roof. Extreme storms can land objects on your roof leading to cracks. Always ensure that your skylights are well fitted. Loose skylights can lift a roof in case of strong winds. Furthermore, rainy water leaking past skylights can weaken roof beams. It is always advisable to contract a company to conduct roofing inspections. This is important because it saves you time. Furthermore, it ensures that the assessment is done professionally. if you want to give your house or commercial building maximum protection, then it is advisable to take a proactive and professional approach. Never wait for the problem to become larger. Always conduct periodic inspections. Hire us a professional company to help in caring for your roof.